A self driving tour of 12 museums in Kent County MD, will be held on Saturday, May 5, 2018 from 10am to 4pm. Appealing to all ages and interests, they exhibit the culture, lifestyles and history of this Eastern Shore county. Knowledgeable guides, some special events, and free admission await visitors. Brochures with a map available at Visitors Center, Kent Library, Sumner Hall and The Bordley Building in Chestertown. 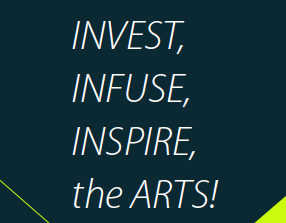 Supported by the Kent County Tourism Department and the Kent County Arts Council. Massey Aero Museum A living airport-museum reminiscent of rural airports of bygone eras. 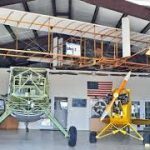 Vintage aircraft, artifacts and touch and feel exhibits. A restoration shop operates most days. Frequent fly-ins. Knocks Folly 1796 Federal style brick home houses exhibits which highlight the history of farming, the native American Tockwogh tribe and visit of Captain John Smith during his voyage on the Chesapeake Bay. Betterton Heritage Museum Betterton Fishing Ark open for tours. Speed Joiner decoys on display. Photos show fishing and hunting as main occupations. Popular beach in early 1900’s with photos of the grand Rigbie Hotel. Gift Shop. Headquarters for the Historical Society of Kent County. Many resources are available to the researcher within the library, genealogical and archival spaces. Historical exhibits and shop. Sumner Hall Restored and listed on National Register of Historic Places, it honors African-American Civil War vets of Charles Sumner Post #25, Grand Army of the Republic and features historical roles of African-Americans in Kent County. 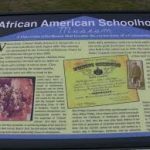 *African-American Schoolhouse Interpretive panel and exterior viewing only. Still in its original location. 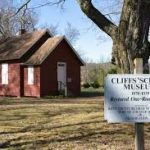 Cliffs Schoolhouse One room school with seven grades and one teacher served families of rural southern Kent County from 1878-1939. Furnishings, books and artifacts of the era. Blackboards with lessons. In its original location. Rock Hall Museum Hand crafted boat and ship models, decoy carving shop replica, seafood processing, boat oystering rig, ice buoy, representing the marine culture of Rock Hall. Waterman’s Museum Artifacts and a fishing shanty from the early days of oystering, crabbing and fishing. Photographic documentation of past and present watermen. Next to Haven Harbour Marina. Tolchester Beach Revisited Presents and preserves the history of this amusement park 1877 to 1962. Pictures, artifacts and memorabilia of the most popular resort along the Chesapeake Bay. Rock Hall Marine Restoration and Heritage Center Located in the historic Clam House on Rock Hall’s harbor. “Steamboats on the Chesapeake and Chester River” exhibit shows the history of recreational and working vessels on the ‘Bay.